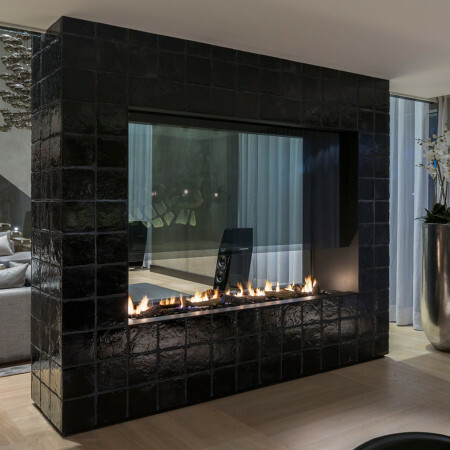 This beautiful and contemporary suspended fireplace//hanging fireplace represents the ultimate in luxury fireplace design. The bold, curved glass and circular canopy is hung from the ceiling giving a wonderful all-round vision to the dancing flames. This suspended fireplace //hanging fireplace provides a stunning, designer focal feature throughout the year as well some cosy warmth. 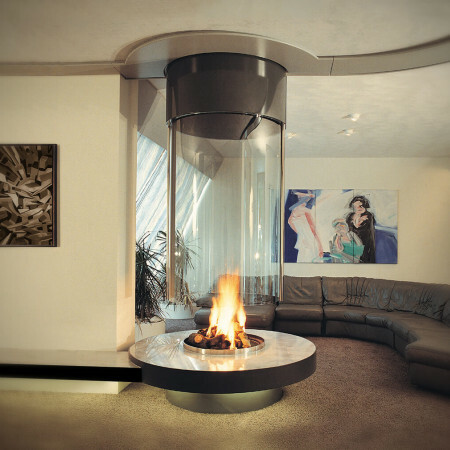 The curved glass allows the light to flow through the space and the flames flicker beautifully around the curved surface. 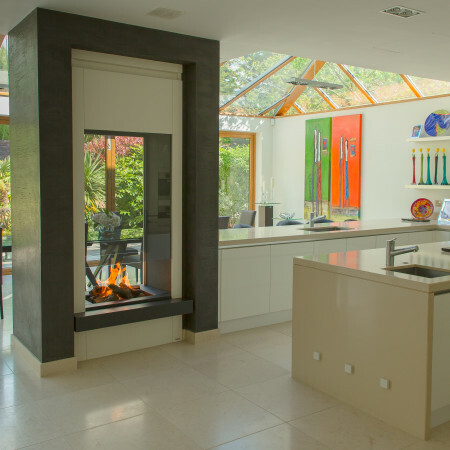 Colour, finish and even materials can be customised to truly tailor this luxury suspended fireplace to the individual, style and space.